With most modern organizations comprising of up to four different generations, it’s no secret that a lot of organizations are scrambling trying to balance the challenges of training a multi-generational workforce. Over the last decade multi-generational training has been all the rage with training and learning folks across industries. As it should be. X-ers, Y-ers, Boomers and The Silents. We are all concerned about ensuring that our training sticks across these dramatically different generations. We know their values, priorities and expectations vary greatly, and subsequently so do their learning styles. We have been focusing intensely on how to cater to each one of them and have been doing a great job at it, but what if there is a bigger picture to all of this? 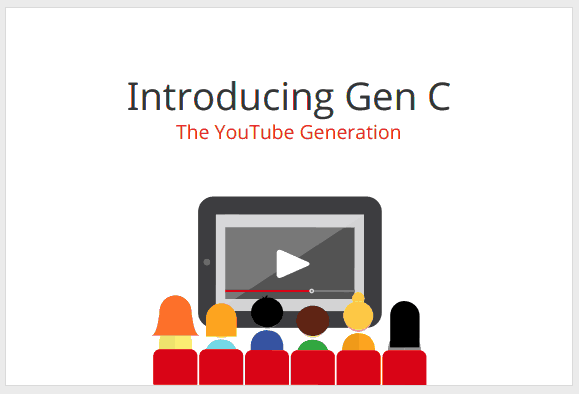 Such a generation exists and it is what some are calling Generation C. C is more than just a cohort of people. It’s a state of mind that defines the social network and non-stop connectivity. It’s the person that is glued to their phone, and gets phantom vibrations in their pocket when they forget it home. It’s the person that’s always in the loop and panics when their battery dies. You get the picture. This hidden generation is having a major impact on the way we all consume information, whether it be training or otherwise. What’s most fascinating about this new generation is how it exists across traditional “generations”. A teenager with a part time retail job and a busy sales executive with a career are worlds apart but they both access technology, and they access it often. What do you need to consider when training Generation C? Classroom based training seems like a universal tool you can always try, but odds are that they will probably be looking at their phones the whole time anyway. The old notion of “if you build it, they will come” is long gone, even in training. So why not bring the training to where their attention spans are: mobile phones and tablets. With mobile penetration rates through the roof, the time to evolve is now. As trainers, managers and educators we have to ensure that our content is delivered in an effective and engaging way. It is up to us to make sure that our content is truly accessible to everyone.